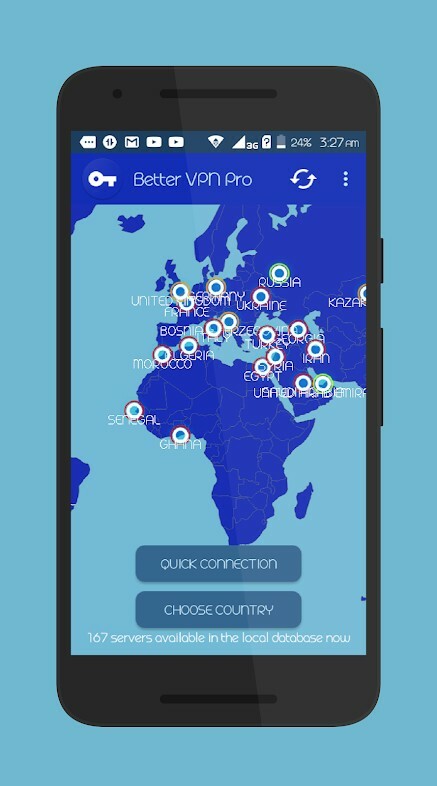 Better VPN Pro is a Premium VPN clients for android. 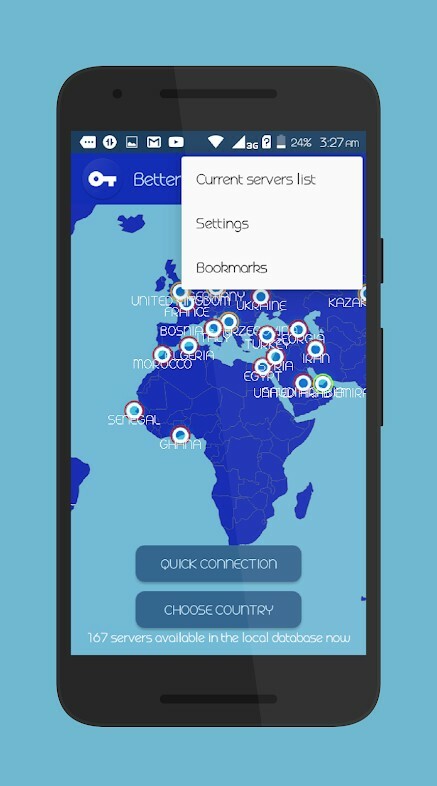 Better VPN – Free VPN proxy, connect as a hare to unblock sites, WiFi hotspot secure and protect privacy. 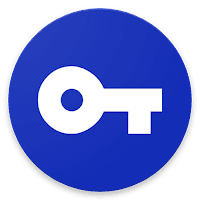 It helps you access blocked apps and sites with Wi-Fi and cellular data networks, while keeping your mobile activities anonymous, online private activities and secure! Totally unlimited bandwidth! 100% High speed VPN ! Disguise your IP address to hide your identity while surfing the Internet. Secure Open VPN connection: protect yourself by utilizing its strong encryption while using public Wi-Fi.